You are correct. Those are the three points of the triangle. A right triangle plus (angle to horizon) from rifle barrel end to JFK's head. 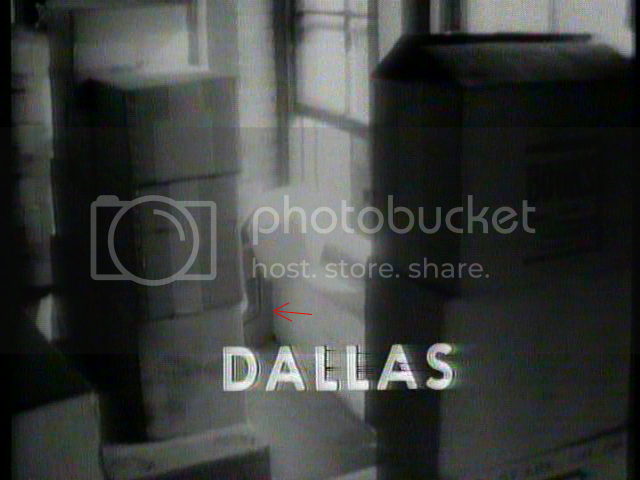 The X represents JFK's physical location on Elm St. The rear bumper represents the X (JFK's physical location=Station# in surveyors terms). The difference being: JFK's head height at the time of a head shot is not the bumper height. The slope of Elm St. during the recreation was determined to be 3deg8min = 3.13 degrees. This slope equals a 1ft vertical per 18.3ft horizontal distance ratio. "The z207 mark on the plat is inside the red box? It's too small for me to read…" That's O.K. The + symbols on the plat are in 25ft increments. 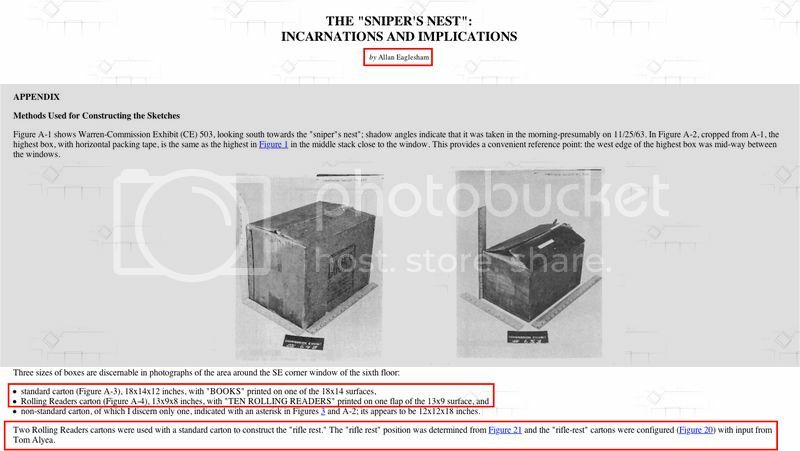 The + symbol near the red box is Station# 3+75.0, which means extant z207 at Station# 3+71.1 (look at CE884) aligns at that little tick mark which touches the slight horizontal line connecting the + marks, the tick mark resides just above the 0 in 207. The original location at flatline 163.65 (extant z207) was recorded (separate document) by Robert West (not necessarily plotted at that time), during the Time/Life recreation back in Nov 1963, This is referred to by Tom P. in the previous attachment I supplied. It appears the FBI and/or the SS moved it downhill another 10.2ft. My guess would be Shaneyfelt. The frame excerpts from CE884 have the same data, the only difference is the frame#'s were switched from Z208-Z210. 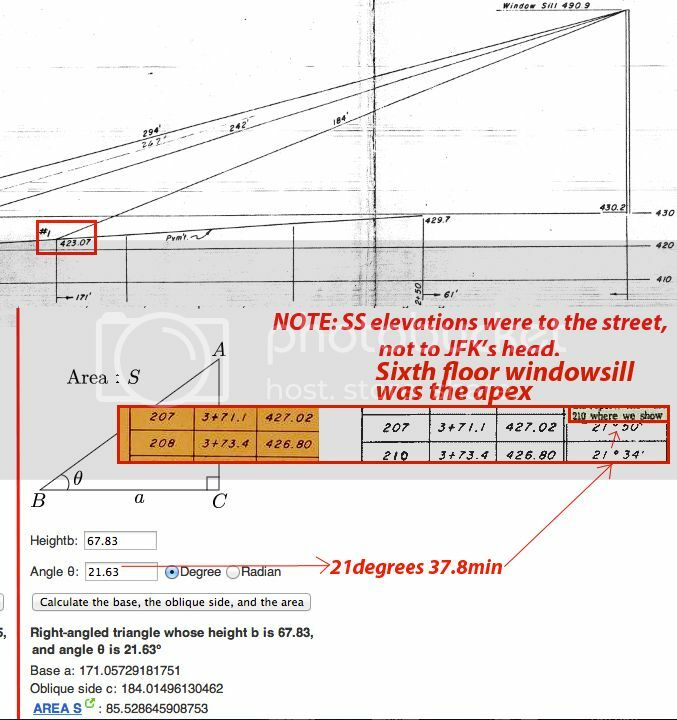 So z208 on the final WC plat of May 1964, had a (angle to horizon) rifle end to JFK's head of 21deg 34min. Sandwiched between z207-208 (angle to horizon- WC ) is the SS/FBI data for 10.2 ft farther west. The WC had to make adjustments to the vertical as well. Start with this adjustment. I hope you really didn't believe it had anything to do with vehicle heights. Mr. SHANEYFELT. Yes; because of the difference in the automobiles there was a variation of 10 inches, a vertical distance of 10 inches that had to be considered. 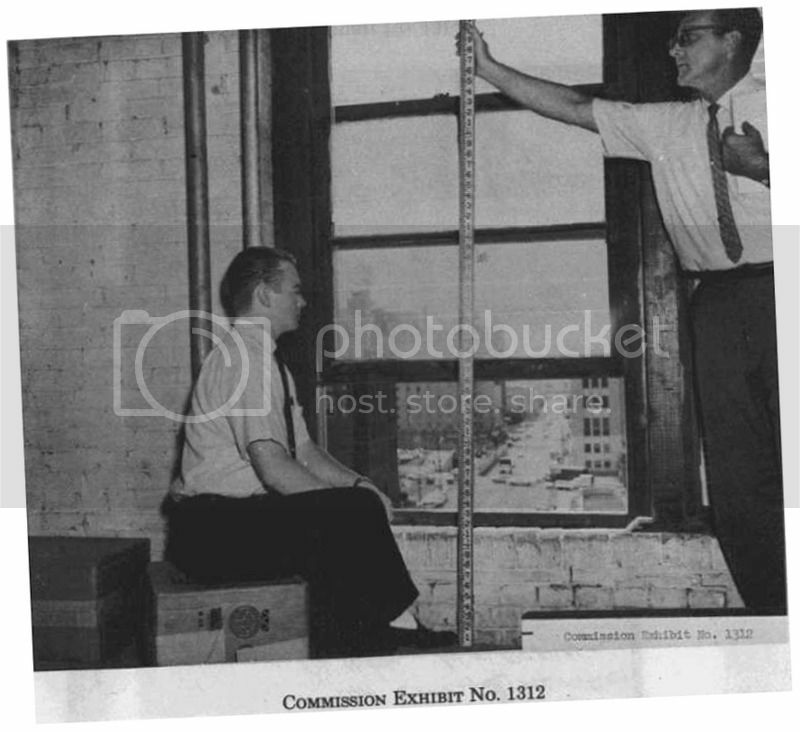 The stand-in for President Kennedy was sitting 10 inches higher and. the stand-in for Governor Connally was sitting 10 inches higher than the President and Governor Connally were sitting and we took this into account in our calculations. Mr. SPECTER. Was any allowance then made in the photographing of the first point or rather last point at which the spot was visible on the back of the coat of President Kennedy's stand-in before passing under the oak tree? Mr. SHANEYFELT. Yes; there was. After establishing this position, represented by frame 161, where the chalk mark was about to disappear under the tree, we established a point 10 inches below that as the actual point where President Kennedy would have had a chalk mark on his back or where the wound would have been if the car was 10 inches lower. And we rolled the car then sufficiently forward to reestablish the position that the chalk mark would be in at its last clear shot before going under the tree, based on this 10 inches, and this gave us frame 166 of the Zapruder film. At what frames does CE884 have the limo traveling 2.24mph? That would be z161-166. Adjustments in play. I think for the sake of clarity, it would have been easier to use the original SS100X for the recreations. Nothing to hide here!!! Almost like using the rear bumper as a place holder for JFK. This is a partial equation for the few who are interested. The existing pieces have been provided except for the final piece of 19.756ft. Final piece for previous partial equation. Anyone care to convert 19.756ft for the rest of us? Post #7 might help you. Conversion of 19.756ft in terms of 1 second (1.47ft) = 13.44 mph. The syncing of extant CE884 to the extant zfilm. The red blinking arrows point to Station# 3+25.0( + symbol) and JFK's position in the limo in relationship to the (+) symbol. JFK's position lands at Station# 3+19.3 at extant zframe156. The difference between these two locations is 10.8ft. 10.8ft per 10 frames = 1.08ft per frame. Extant CE884 z161-166 equals the difference between the two scenarios.